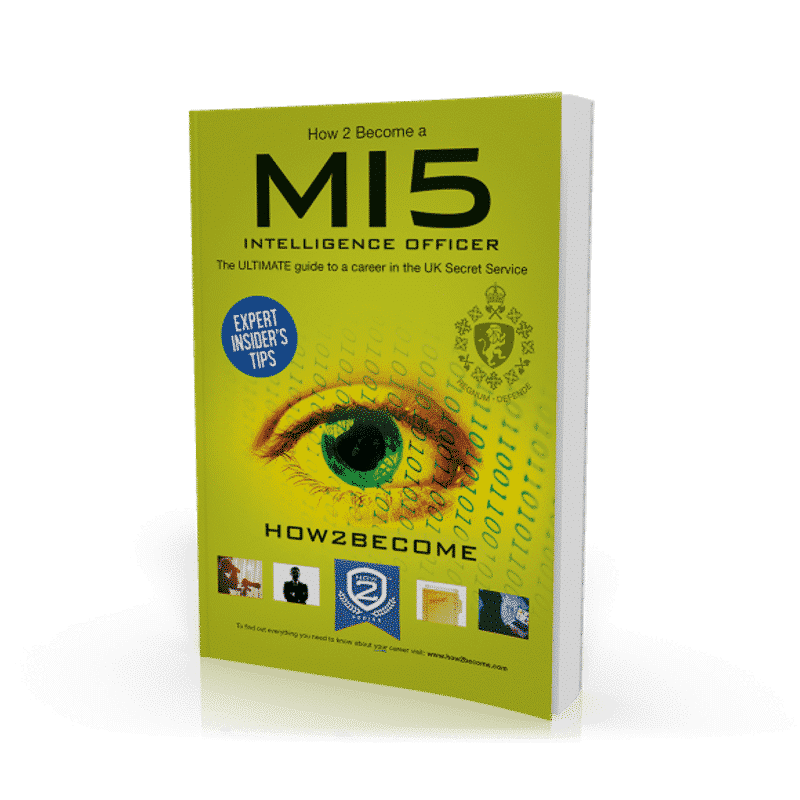 Join the MI5 Secret Service with this comprehensive career guide – How to Become an MI5 Intelligence Officer. Joining Her Majesty’s Secret Service is no easy feat and only those who prepare fully will be successful. Our 240-page guide will walk you through your entire application process and provide you with example high rated answers for each section. Pass the MI5 selection process today and join the MI5. When most people think of MI5, the first thing that comes to mind is ‘spying’. Spy culture is everywhere; on film screens, TV series and in books. We associate MI5 with sharply dressed, enigmatic individuals, working discreetly to protect the country. Never seen, and never heard, these individuals are a mystery to the general public. They could be anywhere, or anyone. The question is, how far is our view of MI5 intelligence shaped by what we see in the media? What is the reality of MI5 intelligence work, and how does one apply to work within the organisation? In this guide, we’ll answer all of your questions. With the help of our detailed pre selection test guides, you can unravel the mysteries behind MI5 intelligence work, and secure your own position as an Intelligence Officer. Before applying to any job, it’s really important that you consider your personality against the requirements of the role. This is especially important for the role of an MI5 Intelligence Officer, which requires very particular character traits and skills. These traits and skills are also known as ‘core competencies’. Core competencies are essentially a list of behaviours and attributes that potential candidates need to be able to demonstrate in order to succeed. The better you can prove that you are in possession of the core competencies, the better chance you will have of getting the job. hroughout the selection process, you should use these core competencies as the basis for every single one of your responses. You need to demonstrate in every response that you meet the standards and behaviours of the organisation, and that you are aware of why these standards are important. Teamwork: When working as an Intelligence Officer there will be numerous occasions during the day when you have to work as part of a wider team to solve or deal with an issue. You’ll need to work closely with other related employees or outside agents, in order to ensure the best possible course of action. Motivate the group to perform to its maximum potential. Given the importance of the role, is it fundamental that all employees of MI5 are working as harmoniously and efficiently as possible. You need to be able to put personal differences aside for the greater good of the country. Planning and organising: The second core competency that you will need as an MI5 Intelligence Officer is the ability to plan and organise effectively. This ties in heavily with the previously mentioned ‘team working’ competency, as there will be times when you are placed in the role of team leader. This will require you to organise other people as well as yourself. You’ll need to be exceptionally organised when dealing with high levels of threats, as one serious mistake could cost thousands of lives. Important investigations and operations can often take months of planning, and therefore it is vital that you are someone who can demonstrate that you have the ability to plan and organise well ahead of schedule. You can find a complete list of the MI5 Intelligence Officer core competencies in our comprehensive guide. Firstly, you will need to make an account on the MI5 website, and fill in some background details. You’ll need to provide the organisation with information including your national insurance number and how long you have lived in your current residence. Following this, you’ll be given an initial application form to fill in. This will test you on whether you meet the basic entry requirements of the job, along with providing extra bits of information about what you might be expected to do in the role. After your application has been accepted, you will be invited to take an online verbal reasoning test. The Verbal Reasoning test will assess your ability to evaluate information that is presented to you in large passages of text. It will consist of 9 passages, each with 4 associated questions. Below we have included a short sample verbal reasoning exercise, similar to those you will see in the actual test, along with a sample question to go with it. “The concealed carry law refers to the act that permits a person to carry a weapon in public, as long as it is carried in a ‘concealed’ and ‘discrete’ manner. The carry law has proven to be a “hot” topic in the United States, where people often question whether or not it should be legal to carry concealed weaponry. One of the most commonly cited reasons for carrying weapons, from pro-gun activists, is that people have a right to defend themselves against the government. These people are, quite frankly, deluded. In the unlikely event that the government did decide to turn against its citizens, a handgun would not be much use. These people will have to reconcile themselves with the uncomfortable truth that a physical resistance against the US government would be virtually impossible. Which of the following is not given as a reason against gun-control? A – People have a right to defend themselves against the government. B – People kill people, not guns. C – Prisoners would be granted access to firearms. D – Gun control is against human rights. Explanation = At no point in the passage does the author speak about the effect that gun control would have on prisoners, while he uses all of the other statements as counter arguments. For more sample verbal reasoning questions, and a complete sample verbal reasoning test, purchase our comprehensive guide! If you are successful in your application form and online verbal reasoning test, you will be invited to attend an assessment centre, at which you will have to take a series of written exercises. In this section, you will be asked to create a report, proposal or letter based upon information provided to you. In your report, you will be required to elaborate upon the information you have received, and come up with logical and sensible solutions to the issues listed. Report writing is an important part of an MI5 Intelligence Officer’s everyday role. As an employee of MI5, you will be constantly filing and submitting paperwork, written reports and proposals that will be passed on to senior management. A great proposal letter could be the difference between your proposal on how to deal with a particular case being accepted, or rejected. You need to show MI5 that you have the ability to think about situations logically, and assess all of the information in front of you in order to make a good decision. A case study involves answering questions based around a specific scenario, in which you play a senior role. 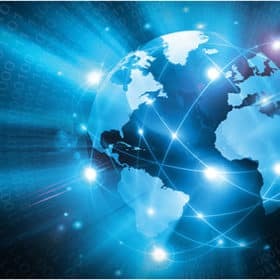 You will be provided with written data, some of it conflicting, and will be required to analyse the data in order to come to a sensible decision. Once you have reached a decision, you will need to put this down in writing, and provide clear and logical reasoning for why you have made it. In a case study exercise, you need to sift through the data to establish what is relevant and what is not. In essence, this is very similar to the report writing. The difference is that you are not addressing a letter to anyone, you are simply writing down what you would do to resolve the situation. There is also a possibility that you might be put into groups for this exercise, and asked to come to a conclusion together, before presenting your findings to a panel. If this is the case, then you will normally be given one longer case study to work with, rather than a series of shorter ones. If you are successful in your telephone interview, you will receive an email inviting you to attend a second assessment centre. This will involve a more rigorous testing process than the initial centre that you attended earlier in the process. You will be tested on report writing (again), and be required to pass both a role play and a group exercise. Whereas the other exercises you will have completed up until this point could be based around any situation, the final assessment centre will ask you questions that relate directly to the work you will be doing at MI5. The topics will be intelligence-based, and you will be expected to respond accordingly. During, the role play exercise, you will be given 5 to 10 minutes to look over a document containing information about your role, and the type of situation you will be dealing with. You’ll be expected to take notes. You will then enter a room containing an assessor, and a role play actor, and will have to respond to the role play actor in a way that a) is consistent with the role you have been given, and b) meets the core competencies and requirements as outlined by the employer. The role play exercise will normally last for around 10 to 15 minutes, depending on the behaviour of the role play actor and how you deal with them. During the MI5 assessment centre, you will be given either 1 or 2 role play exercises. This will depend upon the difficulty or severity of the initial exercise. For example, if your initial exercise simply involves dealing with a challenging member of staff, then you can expect the exercise to take less time; and therefore you will probably have to take an additional exercise. However, if your exercise puts you in a high pressured situation, where hypothetical lives are on the line, then you should expect it to take longer and therefore, it is likely to be the only role play exercise you will need to undertake. The second part of the assessment centre consists of a group activity, where you will placed into a team or group with other candidates. The size of your group could be anything from 2 to 8 people, but generally will consist of 5 or 6 people. The type of exercise that you are required to perform will most likely involve an activity such as looking at a case file, and coming to a team conclusion on the best way to go about handling the information that is contained in the file. However, you could also be placed in exercises where you are indirectly competing against the interests of the other members of the group. For example, you would all be given a role and conflicting advice on how to handle one particular situation. The group would then have to decide upon the best course of action. In the group activity, your assessors will judge you based on your ability to work as an individual member of the team, and how well you work in harmony with the other members of the group. When applying for the role of MI5 Intelligence Officer, you will have to pass two separate interviews. One of these interviews will be held at the assessment centre itself, and the other will take place at an undisclosed location, at a later date. Both interviews will be fairly similar, but you can expect the second of the interviews to be considerably more comprehensive than the first. However, you could still be asked any number of the questions listed in this chapter in either the first or second interview, so make sure that you are 100% prepared before the first interview. During the interview, it is absolutely essential that you tailor your responses to meet with the core competencies. The majority of interviews begin with a ‘getting to know you phase’. This is where the interviewers assess your personal attributes against what they are looking for in a candidate. In a sense, you can break your interview into two separate phases, ‘the getting to know you phase’ and ‘the competency phase’. In the second phase, you’ll be directly tested on how well you understand and can demonstrate the core competencies required for the role. One mistake that many people make is to concentrate too much on the second phase, and ignore preparation for the first. This is a critical error. Remember that the first phase of the interview sets the tone for the second phase. If the interviewers get a terrible personal impression of you, then they simply won’t be interested in how well you exhibit the core competencies. MI5 are not just looking for a capable employee, but someone who fits well within their organisation. Below we’ve provided you with a sample question from each phase, along with a sample response to each. Can you give me an example of a time when you have had to make a difficult decision? ‘During my time as an administrator, I was often required to make difficult decisions. One such occasion that I can remember was when a member of my team turned up to work in an inebriated state. The individual in question had undergone severe personal trauma. While he had been offered time off to deal with this, he had refused. Some of the other members of the management team felt that the best course of action was to send him home and release him from the company. They were uncomfortable with his behaviour and believed that, because he refused to take time off, attending the office in this state was extremely unprofessional. I was ultimately tasked with making the decision on what to do with the employee. My first decision was what to do with the employee on an immediate basis. While I would certainly be sending him home, I decided that my options were a) to call the police, b) to assign someone from the office to take him home, or c) to use a contact number for someone to collect him and take him home. I decided upon option C. While there were a number of willing volunteers, I did not want to further damage the day’s work. A relative of the employee arrived swiftly and took him home in her car. My second decision was whether the employee should be sacked. I weighed up all of the options before making this decision. If we fired him, we would be showing a lack of sensitivity and understanding as a company. If we did not fire him, we might be setting a bad example. I ultimately decided that I was prepared to give him one final chance, since this was the first time it had happened. The individual in question was a very capable employee and losing him would only damage the business. I called the employee the next morning, and spoke to him about the situation. I informed him in a sensitive manner that if he wished to keep his job, then he a) needed to take some time off to deal with his issue, and b) needed to use this time to seek therapy or guidance. I reassured him that the company would support him through this difficult period in his life. The end result of this situation was that the employee took a two week break, and came back feeling better. He is still at the company, and has now risen to a management position. I believe that by making measured decisions, I ultimately aided the company long term’. CHAPTER 1: Am I Right For The Role? 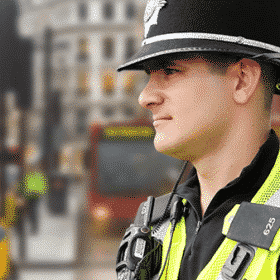 Using this guide, you will learn the MI5 Intelligence Officer’s: salary, day in the life, graduate scheme and job description in order to help you pass the selection process. This guide also includes invaluable advice on the MI5 Intelligence Officer telephone interview, application process and test day – with plenty of sample practice tests and exercises. A plethora of detailed questions and answers, taken from real life assessment scenarios. Comprehensive advice on how to fill in the MI5 application form and pass the online verbal reasoning test. A complete list of the MI5 core competencies and how to use them in your selection responses. Fantastic interview tips and advice to help you pass the final stage of the MI5 Intelligence Officer Selection process. 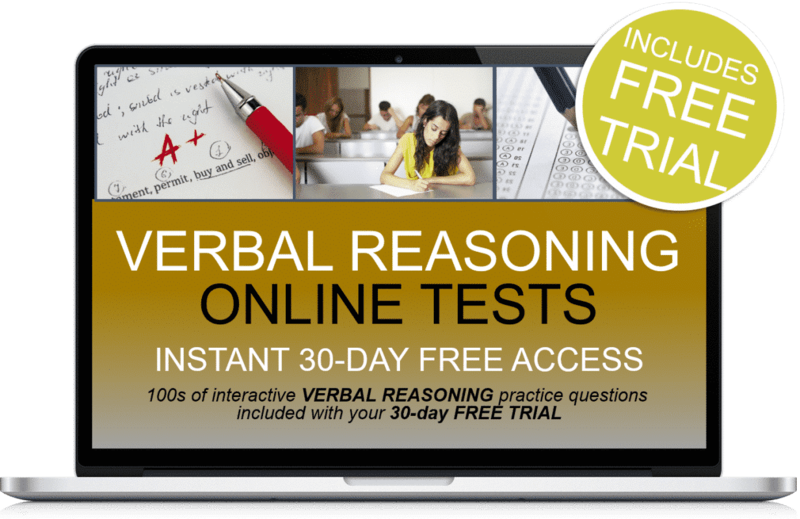 BONUS – 30-DAYS FREE ONLINE VERBAL REASONING TESTING SUITE ACCESS. As an additional bonus, you will receive 30-days FREE ACCESS to our professional online testing suite which will equip you with sample tests that will help you prepare fully for your verbal reasoning tests! After your 30 days free trial ends the service is automatically charged at a mere £5.95 plus vat per month with no minimum term. You can cancel at any time. See our terms and conditions for more details. Psychometric Tests Workbook containing 100s of practice questions.